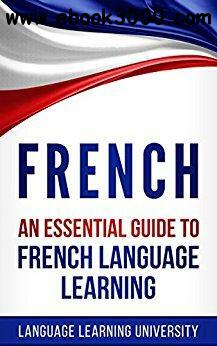 Do you want to learn French quickly? Or perhaps, you already know the basics, but you still have difficulties in assimilating this charming language? Do not worry; this book will help you. By using this book together with practice, you will learn to understand, read, write and speak this beautiful language. French tends to have a reputation among English speakers as hard to learn, but it's easier than you might think. Many courses of language study assume you are going there for vacation, and so begin their lessons with everyday survival phrases that people use. There is some of that in this book, but consider that "verbs" are what makes a language. During each chapter of this book, you will be guided, and each part will be illustrated with examples, followed by practical exercises. Get instant access now so you can learn this magnificent language!